Announced today at F8, Facebook’s annual developer conference, we are working with the team at Oculus to create a new virtual reality experience that will enable you to tour some of our most popular galleries. 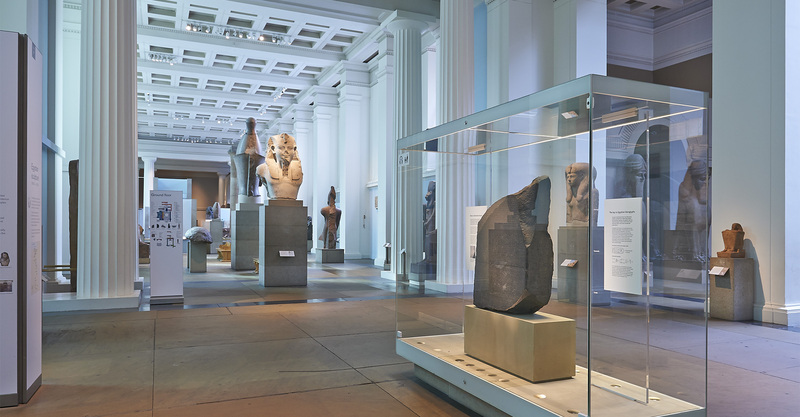 In collaboration with Oculus, we’re launching a new Virtual Reality tour of the British Museum. Today we’re sharing this video and interactive demo to give you a preview. The full VR experience will launch next month, starting with galleries of ancient Egyptian and Assyrian sculpture and Egyptian mummies. The full tour will give users an unparalleled digital experience using any computer or mobile device, and the chance to become fully immersed using a VR headset. High resolution 360-degree photography has been combined with layers of additional content, including expert audio commentary from our curators and interactive 3D models of highlight objects. Now the Museum will be at your fingertips from anywhere in the world! You can try the interactive demo here.